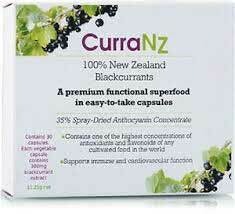 CurraNZ is a health supplement made from New Zealand blackberries. The Daily Mail and some of the other daily tabloids make it sound like a weight loss wonder, but in their usual fashion UK reporters are going a little OTT over the benefits the average user is likely to attain. According to the Daily Mail, CurraNZ can burn as much fat as four weeks of exercise. A claim like that is bound to make people sit up and take notice, but the news report neglects to mention a very important fact—it’s only been proven to do this during periods of exercise. The manufacturer’s website makes this perfectly clear, stating CurraNZ can provide “unprecedented fat burning gains during exercise”. The Daily Mail article also alleges taking the supplement twice a day for a week may improve fat burning by up to 55 percent. Research suggest this is possible, but it also suggests such results will be rare. Only one member of the research group managed to achieve this level of improvement. The average improvement was 27 percent and this is the figure mentioned on the official CurraNZ website. For the purposes of this article, we’ll concentrate on the facts about CurraNZ and leave the dramatics to the tabloids. CurraNZ is a capsule type food supplement that contains 100percent natural, freeze-dried, New Zealand blackcurrant extract. There are no other ingredients and each capsule provides 300mg. The health boosting ability of blackcurant is no secret. Scientists and health professionals have known its value for years. However not all blackcurrants are created equal. 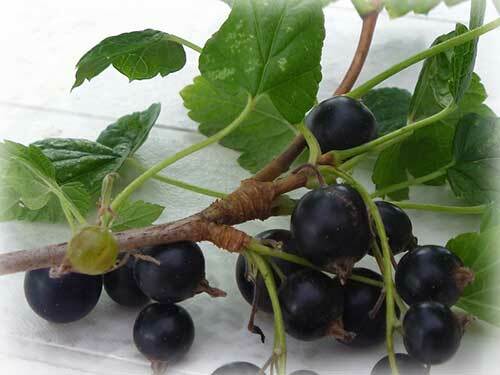 New Zealand Blackcurrants are believed to contain higher amounts of polyphenolic compounds and anthocyanins that any other fruit in the world. This is due to unique climatic conditions in which they grow. New Zealand blackcurrants have 1.5 more anthocyanins that ones grown in Europe and provide eight times as many antioxidants as blueberries. Anthocyanins are vasodilators. That means they have the ability to expand the blood vessels. 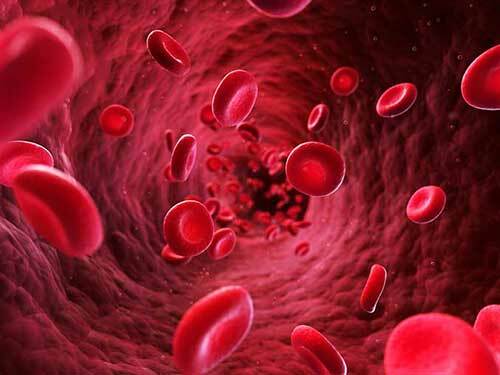 Vasodilation reduces blood pressure and improves the circulation, allowing improved oxygen and nutrient delivery to the muscles and important organs. This ability gives CurraNZ value as a training enhancer. It should also be capable of improving healing capabilities and the presence of so many antioxidants will boost the immune system. The fact that the media is so focussed on this products potential value as a fat burner is probably because, with obesity levels spiraling out of control, anything that may help is big news and big news sells papers. Early research, conducted on men, showed supplementation with New Zealand Blackcurrant could increase fat burning by up to 21 percent. In later studies, conducted on women, researchers at Liverpool John Moores University found it increased fat burning ability by an average of 27 percent in just 7 days. Study author Dr Sam Shepherd states this is very impressive. Professor Mark Willems, from the University of Chichester, also finds the study results very promising. Is CurraNZ Really a Magic Weight Loss Bullet? There can be no doubt that New Zealand Blackcurrant is a very healthy ingredient and the freeze-drying process used by the manufacturer of CurraNZ should help lock-in all the natural goodness of the berries. However, the men and women who took part in the studies did two hours of modest intensity cycling on the seventh day of the study. People who take two CurraNZ capsules per day will get 600mg of New Zealand blackcurrant extract. That’s the same amount as the endurance-trained cyclists received, but that does not mean it will provide the same impressive results for everyone. The average person who needs to lose weight will not have the same degree of physical fitness or stamina as an endurance-trained athlete and is also likely to have a slower resting metabolic rate. CurraNZ has a lot of promise, but the media could be accused of making it sound more promising than it is.